There seems to be many reports from the Middle East right now pointing to increased tensions, oil difficulties and conflict from that region. As some know, my computer recently was HIT and brought down a few weeks ago. And the other computer I’ve been using was HIT bad yesterday, March 1, 2011, so the same struggle continues to reach those that want to HEAR…! You can still email LARRY TAYLOR at From_The_Edge2011@yahoo.com and I can check the emails there daily….! 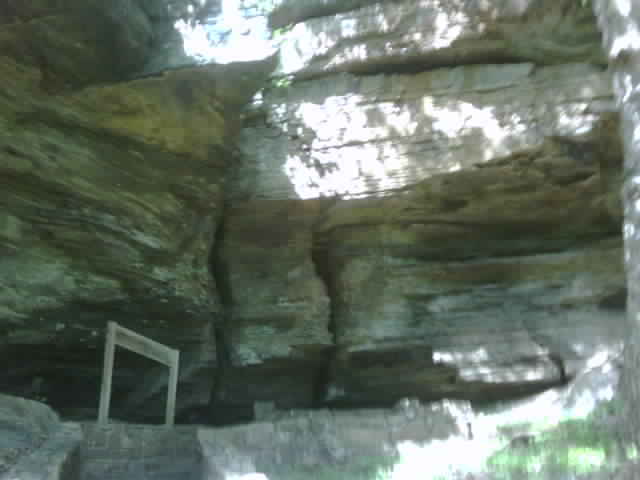 By the way ~ the photo image above is of a location at the Heavener, Oklahoma Runestone Site………………. I was accidentally removed from your group by my wife and was delighted to find you here after Holly Deyo posted your blog on her site. Thanks for staying on top of things. obtain copies for themselves by researching the subject on the Internet. made out to be by modern “intellectuals.” Sic! planets every 3,630 years. Wow! and geological changes on all of the planets in the solar system. Compare Psalm 102:25-26.
the world as we have known it in the past will cease to exist. will never happen. Good luck! You will need it! of Planet X and are still lying about it. would even bring up the subject. the people. Too harsh you say? Too judgmental? Well let’s just see…..
which can accommodate anywhere from a few people up to several thousand people. too many questions of the wrong people. United States under the guise of “military projects” for national security. Sic! whom they have labeled “conspiracy nuts.” Well…?? whether some want to believe it or n0t. Their unbelief won’t change the truth. party line” statement doesn’t even exist. Sic! monitor Planet X, but to save time and space in this study I won’t. politicians, world leaders, and ultra-rich internationalists. Sic! MUCH LATER THAN MANY TODAY WANT TO BELIEVE! 17, and BELIEVE what you read. ticking in the Gulf of Mexico. 2004, and earthquakes all over the earth have dramatically increased since that time. in the Bible whether some want to believe it or not. out into the blackness of outer space. SEVEN YEARS. Now isn’t this interesting? Or is it just a “coincidence?” Sic! these categories, the Lord Himself has already made provision for YOU in His Word. as recorded in Isaiah 2:12-22, Haggai 2:21, and Hebrews 12:26-29.
a rocket scientist to make the connection. Hello! 24:1-20, 28:17-23, and many other similar Old Testament prophecies. against the time of trouble, against the day of battle and war? Job 38:22-23. 1:3 and “be not faithless, but believing,” John 20:27. 119:89. Praise the Lord! Glory to God! Planet X in mind even as He spoke these words in Matthew 24:35.
occurring on the earth. This isn’t hard to understand! is going to cause great earthquakes and every volcano on earth will begin erupting. flaming rocks and asteroids that will fall on the earth during the passing of Planet X.
of the land of Egypt some 3,400 years and take it to heart, Psalm 105:32-33.
this time let the truth stated there soak in. capable of accomplishing both jobs. The “real” Lord Jesus of the Bible IS NOT A WIMP! have laid their plans so well? Listen and learn…..
upon you. Your riches are corrupted, and your garments are moth eaten. stablish your hearts: for the coming of the Lord draweth nigh,” James 5:1-8.
understanding of this prophecy? Let’s see…..
coming. Is it then just “coincidence” that the inspired Word tells us…..
“coincidence” too? Also compare Revelation 6:15-17.
because of Thee,” Micah 7:17.
the inspired Word of God…..
King upon My holy hill of Zion,” Psalm 2:2-6.
the Lord: they would none of My counsel: they despised all My reproof. that shall he also reap,” Galatians 6:7.
lovingly counseled with mankind by appealing to all men…..
they are willfully choosing their own eternal damnation! The best show on Mystery Babylon I have heard, from the EndTime Tribune radio show from September 2010. Find out WHO it is. I really love the new blog!! Thanks for doing it and i like it much better than yahoo anyway! God bless and stay safe and blessings to you and Darnette!! love the new blog larry, much better than yahoo, we like the lightgate updates also we never miss any of them, keep up the good work you will be extra blessed in heaven for all your doing for God. Thank you so much for starting a blog. Now you can even go to the Library to post your stuff! Hope all is well with you and yours my dear Brother. You are continually in our prayers. So thrilled to see you back up and running again, Larry! I will pray that you stay up and running for as long as you need to be. Great blog site! God bless you and Darnette– keep fighting the good fight! !